Comparing the to the 2015 Chevrolet Silverado often leaves Palm Coast and Port Orange drivers undecided as to which is the superior model. That’s why we’ve conducted a close comparison of the two. We think that the Ram 1500 is the clear choice — here’s everything you need to know. 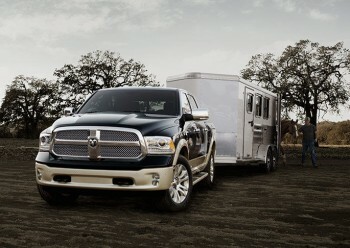 Tradesman: Starting at $25,660, the Tradesmen comes loaded with all the power and functionality you’d expect from a Ram, as well as the comfort of air conditioning, the convenience of automatic headlamps, and the entertainment of a 3.0 Uconnect system with media hub. 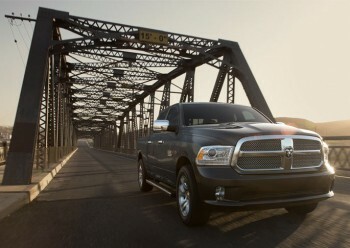 Ram 1500 Express: Starting at $26,940, this model upgrades every element of your drive. The Uconnect 5.0 provides a cutting-edge multimedia system from which to customize your driving environment, while automatic headlamps and 20-inch aluminum wheels are also standard. Big Horn: Starting at $ $31,190, the Big Horn comes equipped with a 3.6L Pentastar engine and includes a leather-wrapped steering wheel with audio controls and 20-inch chrome-clad aluminum wheels. Outdoorsman – Starting at $39,040, this model adds an 8.4-inch Uconnect touchscreen, heated power mirrors, and standard tow hooks and skid plates. Rebel – This model place an emphasis on bold styling, providing a new grille, 17-inch cast-machined wheels with black pockets, and premium cloth seats with black and red trim. Sport – Starting at $35,705, dual exhaust, a 5.7L HEMI V8 engine, and bifunctional projector headlamps all come standard with this model. 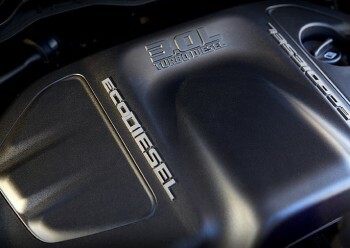 Ecodiesel HFE – Starting at $37,200, you can enjoy up to 28 mpg highway courtesy of a 3.0L Ecodiesel V6 engine. 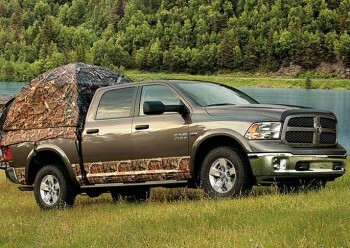 Active grille shutters, a tri-fold tonneau cover, and wheel-to-wheel sidesteps come standard. Laramie – Starting at $39,275, this model comes with heated and leather-trimmed seating, a 9-speaker audio system, and halogen bifunctional projector headlamps. Laramie Longhorn – Starting at $47,185, this model takes the Laramie and adds real wood accents inside for a look of true luxury. Limited – Starting at $50,675, the top-of-the-line Ram 1500 adds a 6-ring instrument cluster, active-level four-corner air suspension, and much more. The 2015 Chevrolet Silverado can’t match the 2015 Ram 1500 when it comes to standard features — but it will ask for more of your money. Entry-level trims start at a minimum of $26,170 — that’s close to $1,000 more than the 1500. 3.6L Pentastar V6: Listed three years running on Ward’s 10 Best Engines, this phenomenal standard engine delivers 305 hp and 269 lb-ft of torque while making up to 18 mpg in the city and 25 mpg on the highway. 5.7 HEMI V8: Power incarnate, the HEMI delivers an outstanding 395 hp and 410 lb-ft of torque, all while offering 15 mpg in the city and 22 mpg on the highway. 3.0L EcoDiesel V6: Combining power and efficiency, this diesel engine produces 240 hp and 420 lb-ft of torque, and makes up to 21 mpg in the city and 29 mpg on the highway. 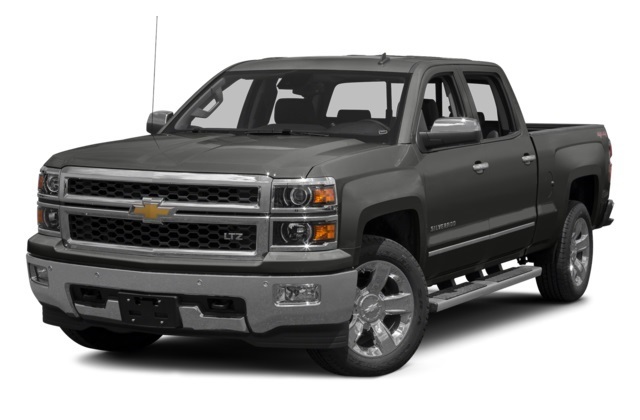 The 2015 Chevrolet Silverado provides a 285-hp 4.3L EcoTec3 V6, a 355-hp 5.3L EcoTec3 V8, and a 420-hp 6.2L EcoTec3 V8. You’ll enjoy slightly more power, but the 2015 Silverado’s efficiency is vastly inferior. The 4.3L EcoTec3 is the most efficient option, allowing 18 mpg in the city and 24 mpg on the highway, which is still far less economical than the Ram 1500’s EcoDiesel. 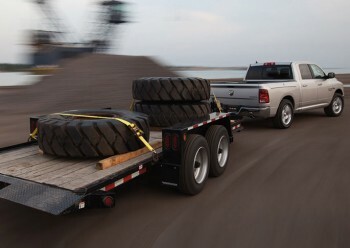 The 2015 Ram 1500 can tow up to 10,650 pounds and handle a payload of 1,900 pounds. The Silverado occupies roughly the same territory. While both models can handle the towing and hauling needs of Port Orange drivers, only the 2015 Ram 1500 is available with an active-level four-corner air suspension system, which utilizes the latest technology to make loading and unloading easier than ever. Automatic load-leveling to improve capability and maintain performance. Adjustable air springs to take the vehicle to one of five ride height settings. Dashboard control for manual clearance adjustment. Smart sensors to automatically lower truck at highway speeds, reducing drag and increasing efficiency. The 2015 Ram 1500 starts lower than the 2015 Chevrolet Silverado, but it still offers Palm Coast and Port Orange drivers more for their money. For example, while the Chevy Silverado provides a 4-speaker sound system as standard, the 1500 allows for superior entertainment by supplying a 6-speaker system. Uconnect System: The available 8.4-inch touchscreen provides 3-D terrain maps and voice command with Bluetooth. RamBox Cargo Management System: Supplying safe, convenient loading and unloading, the RamBox offers lockable, lighted, drainable storage — and it comes with remote keyless entry. Both the 2015 Ram 1500 and the 2015 Chevrolet Silverado include numerous standard safety systems, including tire pressure monitoring, traction control, and anti-lock brakes. However only the 2015 Ram 1500 offers an available reverse sensing system with all trim levels. Helping you back up without ever needing to worry about a rear collision, this system can be fitted in every 1500 model — but it’s only available in pricier trim levels of the 2015 Chevrolet Silverado. 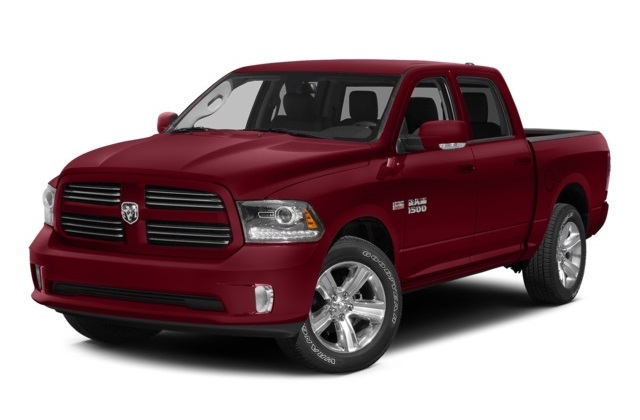 The 2015 Ram 1500 sets the standard to which trucks like the 2015 Chevrolet Silverado strive. Drivers around Palm Coast and Port Orange can take it for a test drive at Are man she towards.